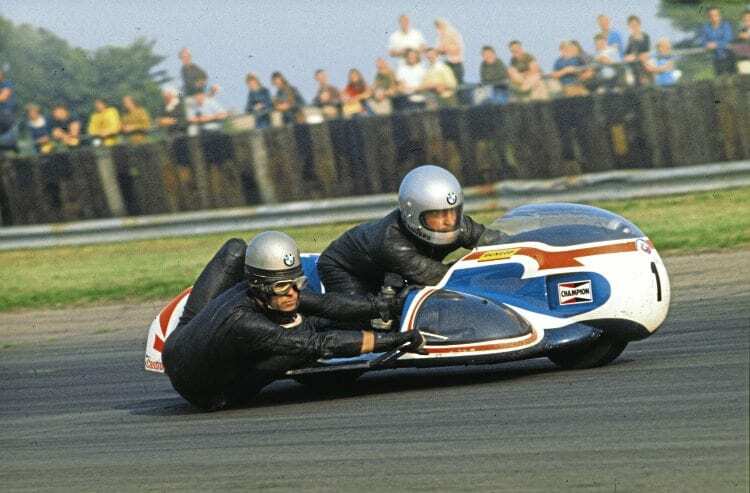 Born on May 2, 1937 in Wetzlar, Germany, Klaus started his racing career in 1960, in the 500cc solo as well as in the sidecar class. In 1963 he was German junior champion in the 500cc class, and in 1964 while fighting for the German 500cc championship title he crashed in the last race on the Avus circuit. He then decided to go sidecar racing. With passenger Reinhold Manischeff, he clinched his first world championship points with a fourth place at Spa-Francorchamps.